Portable Camping Hammock Just $15.88! Down From $70! You are here: Home / Great Deals / Amazon Deals / Portable Camping Hammock Just $15.88! Down From $70! Head over to Amazon where you can score this Portable Camping Hammock for just $15.88 down from $69.99 PLUS FREE shipping with Amazon Prime or for orders over $25! Swinging in a hammock is a perfect way to enjoy life. It’s so relaxed and enjoyable when lying in your hammock while listening to music or reading. Soufull hammocks are the best choice for the beginning of a relaxed life. 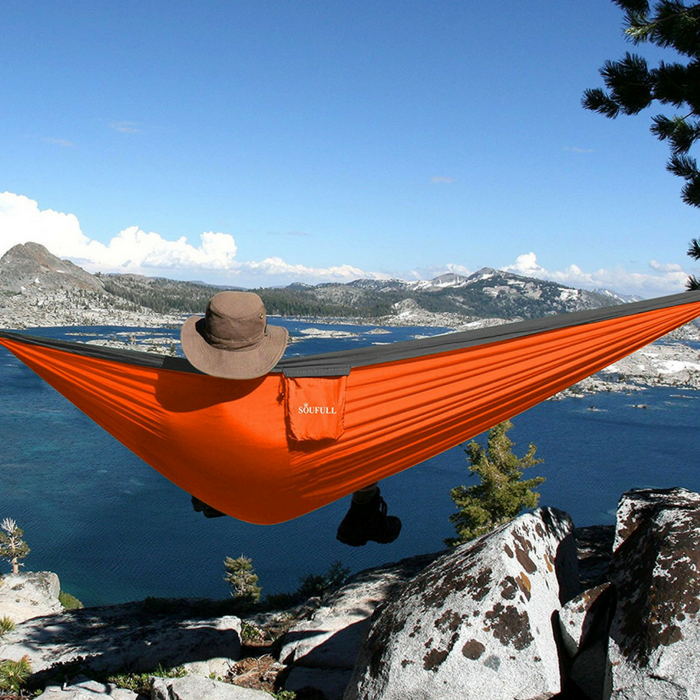 With a breathable material, you can get a high quality sleep in Soufull hammocks. Comfortably supporting up to 500 lbs, 300D high-intensity stitching.